*Conditions of employment for external candidates: In conformity with existing ILO practice, the appointment of an external candidate will normally be made at the first step of this grade. The entry level salary for this position is 74,865,000 Tanzanian Shilling yearly. In response, the ILO country office Dar es Salaam is supporting skills development strategies and policy initiatives that promotes employability, reduces transition periods from school to work, promotes training partnerships with companies and enterprises, ensure inclusion of marginalized groups and strengthen capacity of TVET institutions to provide relevant trainings. Support on skills development initiatives is provided through active collaboration and involvement of our social partners (government, Workers and Employers). In particular our strategy is to provide technical assistance in promoting work based trainings programmes such as Quality Apprenticeships including Informal Apprenticeships; strengthen capacity of social partners and training institutions to link skills supply and demand and develop training programmes for rural economic empowerment. Organize consultations with line-Ministries, Government Departments and Agencies; social partners, NGOs and other development partners on skills development issues particularly work based training programmes. Support the coordination of project implementation including through discussions with project implementing partners, field visits, analysis of progress reports, and participation in reviews and evaluations determining targets delivery. Prepare briefs, periodical reports and data on status of project activities to ILO Dar es Salaam Country Office, Decent work country team Pretoria, Regional office and Headquarters. At least two or more years of work experience of programme/project implementations in the area of Education, TVET development; entrepreneurial and skills development, poverty reduction, micro finance, applied research or social work. Experience in implementing development projects is an asset. Experience in working with Governments, employers and workers in Zanzibar is desirable. Excellent written and spoken command of English. Good knowledge of Swahili. The ILO does not charge any fee at any stage of the recruitment process whether at the application, interview, processing or training stage. Messages originating from a non ILO e-mail account - @ilo.org - should be disregarded. 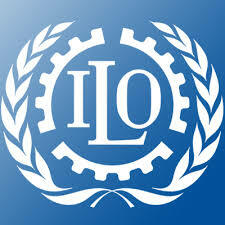 In addition, the ILO does not require or need to know any information relating to the bank account details of applicants.